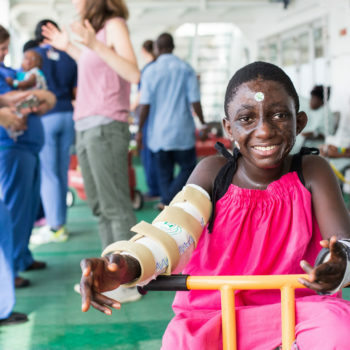 For eight years, Paul struggled to live the life of a normal child, with little use of his right arm. This is his story. Paul dreams of becoming a carpenter. 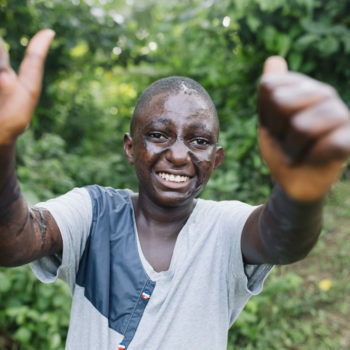 When he was three years old, Paul and his older cousin were sleeping in the room they shared when his cousin accidentally knocked over the kerosene lamp, that provided the room’s dim light. Paul woke up on fire! He tried to put the flames out by beating them with his hands. 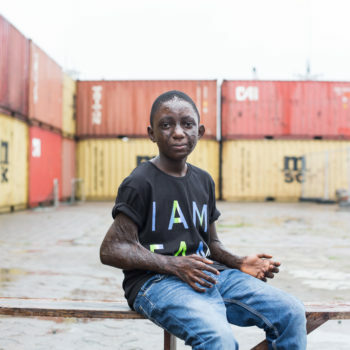 He was left with severe burns across his face, body and arms. 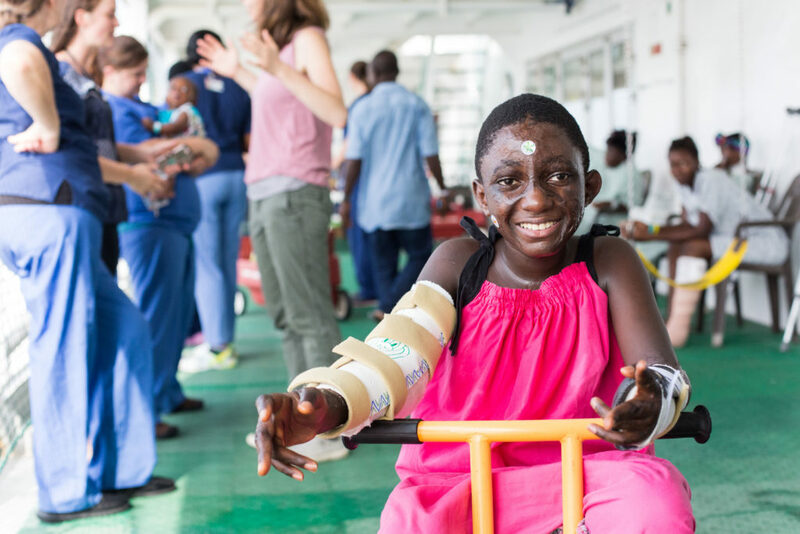 After two long, painful years, Paul’s burns healed, but the healing left his elbow locked in a tight burn contracture, severely limiting the use of his arm. 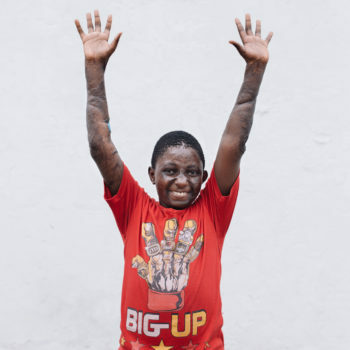 Paul spent most of his childhood since the fire learning to cope with his injuries. While eating meals, he positioned himself close to the table. Carrying objects meant making two trips. “Paul’s life has meant always going the extra mile to do things normal boys can do,” said his grandmother, Martha. Soft-spoken and gentle, Paul felt the sting of years of shame. His mother sadly recounted how Paul was mocked by strangers on the bus or children in the street. Yet Paul’s warm spirit was unshakeable through it all. 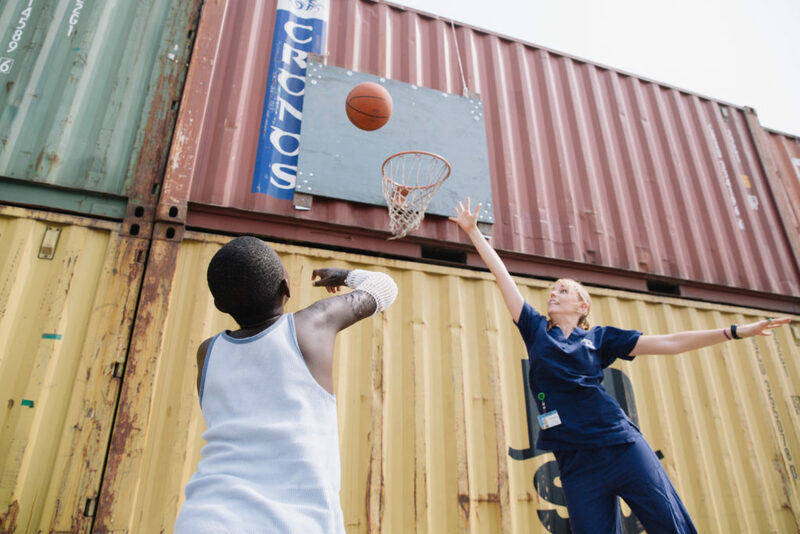 Then, when Paul was 11, his grandfather heard a radio announcement telling of a hospital ship coming to Cameroon, offering free surgeries. It was the miracle that his family had been praying for. Now they had hope. “I believe Paul will be a man of God. He is brave and courageous. 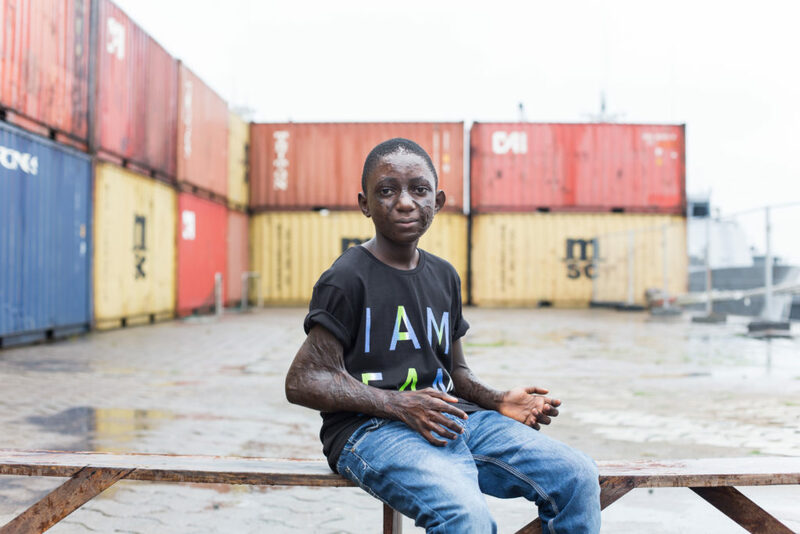 He's so kind and loves people,” said his mother, Estelle. 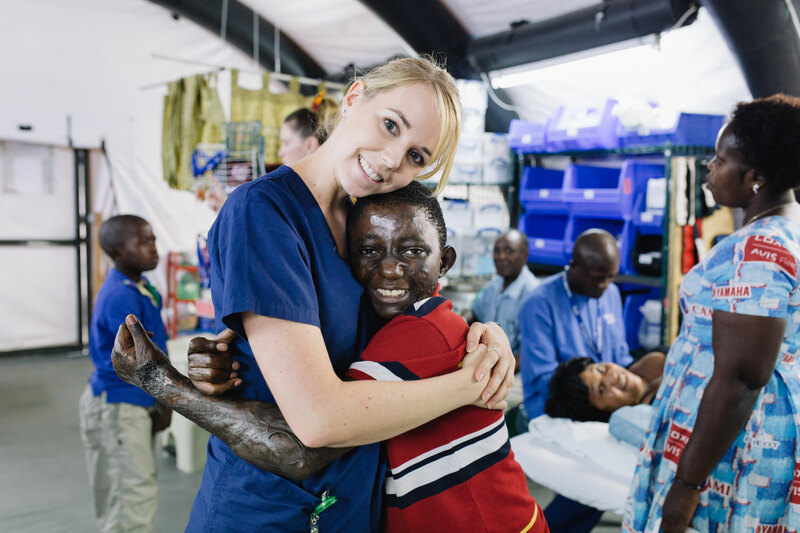 Martha brought Paul to the Africa Mercy, where he received surgery to remove the scar tissue and replace it with healthy skin grafts. 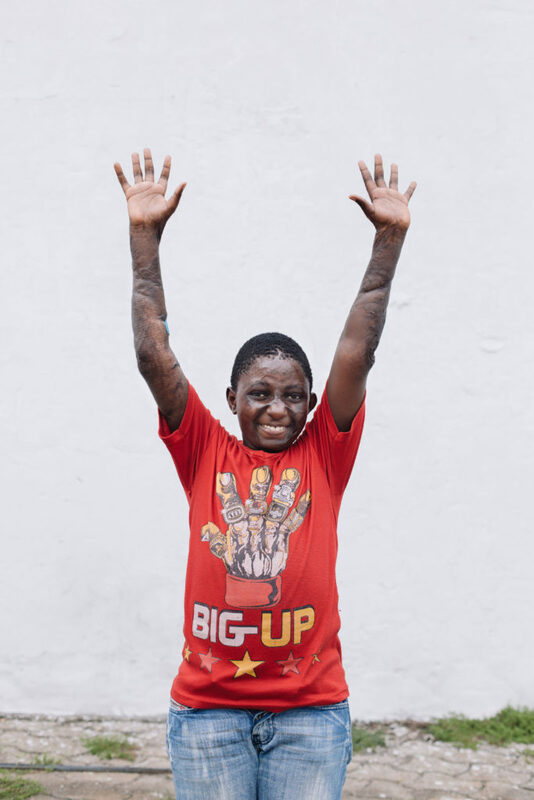 Paul was free to stretch out both arms — something he hadn’t been able to do for over seven years! But his surgery was just the start. 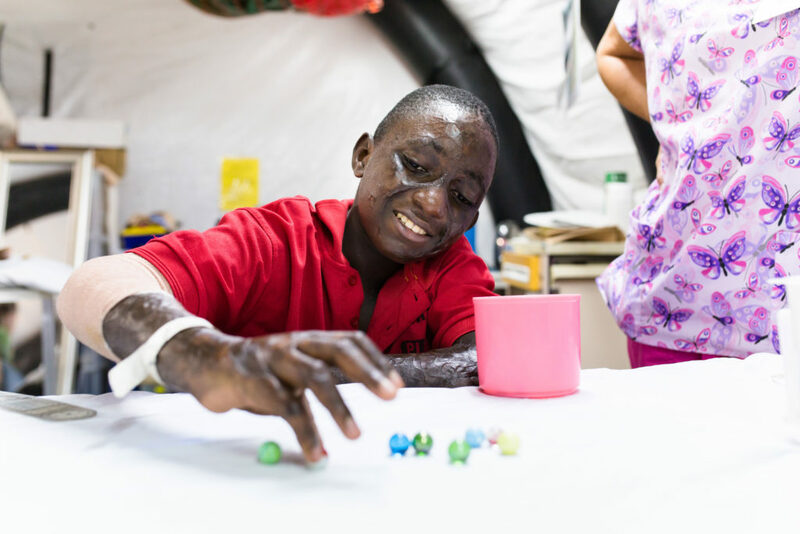 Paul was a champion through his many rehabilitation sessions, where work and play often went hand-in-hand. 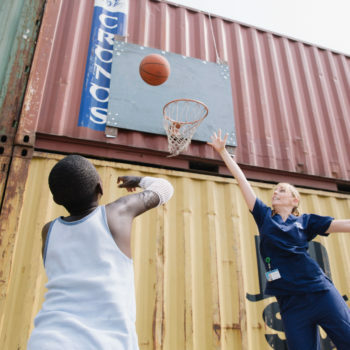 Playing basketball, stretching exercises and practising his dexterity by picking up objects were just part of his road to recovery. Now home in his village, these words are ringing true for Paul. 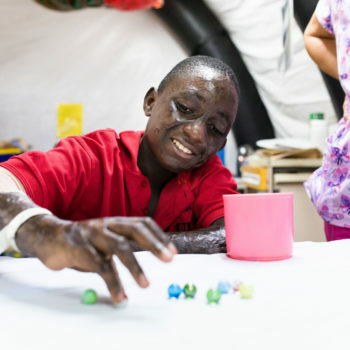 He has returned to school, where he can finally write and participate in class activities more easily. And being able to help his grandparents take care of the home means he can take on more responsibility as he grows up. He now has the ability to play normally with his friends and has means he has regained a piece of his childhood. Paul has proven himself a fighter all his life and now he can turn his tenacity and energy towards his dream of becoming a carpenter! 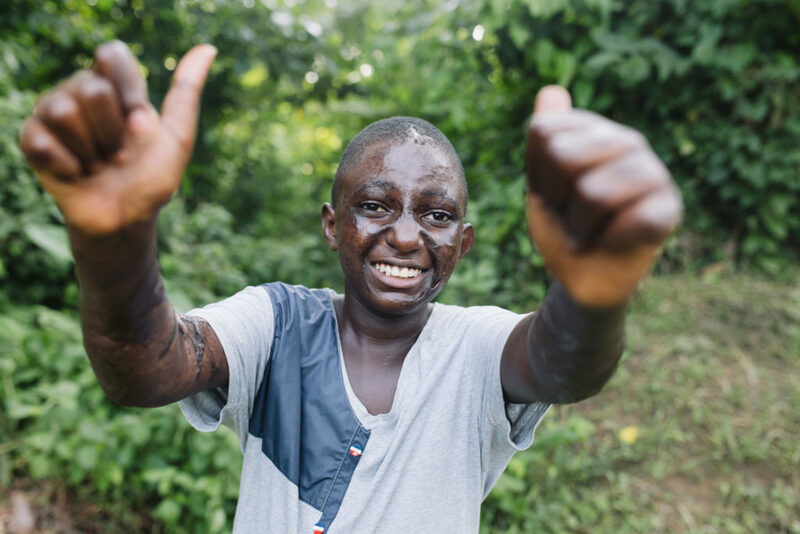 Give a gift today to transform more lives like Paul’s.